As the name indicates, this form is used by the lender or a landlord to confirm that he has received the agreed amount of deposit from the other party. This is used by the owner of a property as a receipt to seal the fact that the tenant has paid him the security deposit to hire the property. 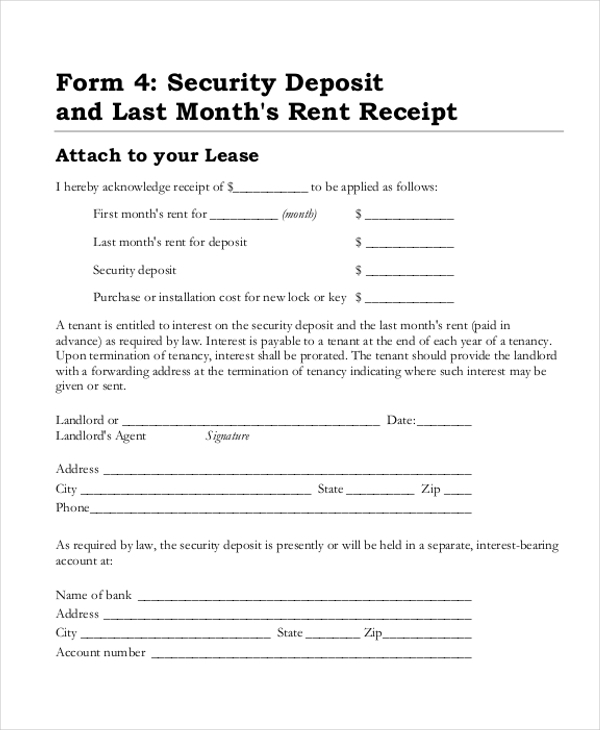 This form can be used both as a receipt for the rent received as well as for security deposit. This is given to the tenant by the landlord. When a tenant pays a security deposit to hire a property from the landlord, he receives a receipt for this from the owner. This is used by the landlord to inform the tenant about the deductions that he would be making from the security deposit. This is usually given to the tenant when he vacates the property. 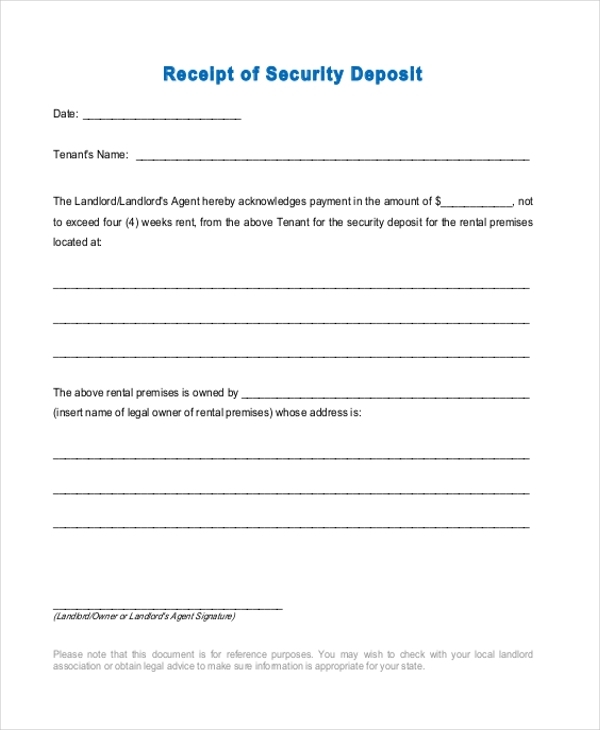 This form is used by a tenant to request the landlord for the security deposit paid by him. It may also be used by a buyer to request a seller to return the deposit in case the buyer wishes to call off the deal. Used by the tenant of a property or a buyer, this notice is usually issued to the owner of the property at the end of the rental term or when a deal is called off. 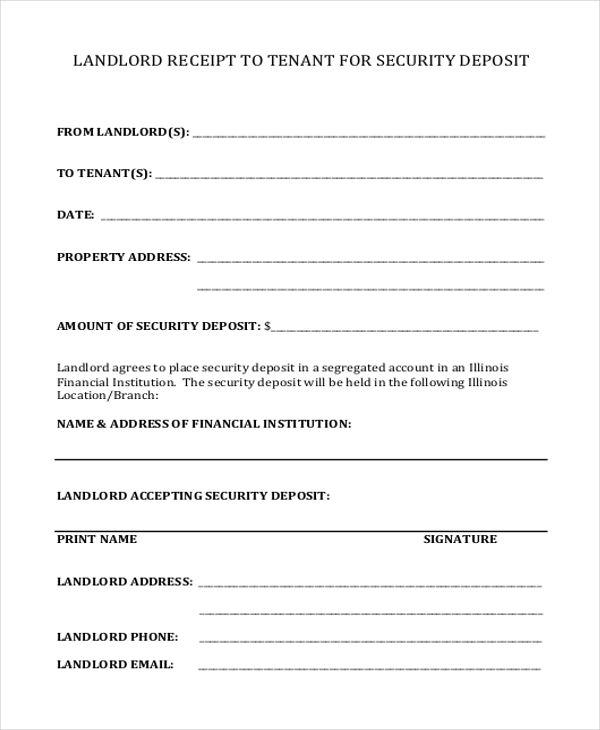 When a tenant pays a security deposit to hire a property from the owner and pays a security deposit, he fills up this form and gets it signed from the owner as an affirmation for the receipt of the deposit amount. 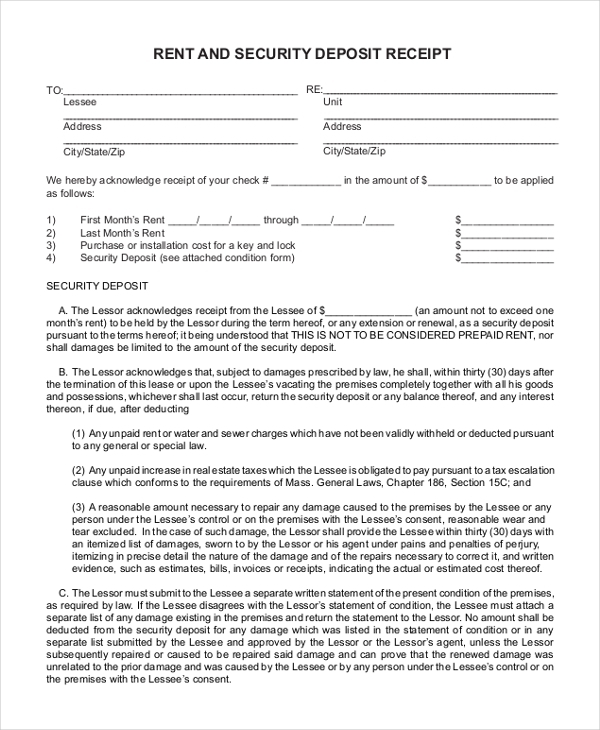 The security deposit receipt forms when duly signed by the party receiving the money can actually act as a legal proof in situation when a dispute may arise between the parties concerned. When a seller pays a security deposit to the buyer, he in turn gives the seller a receipt for the amount received. 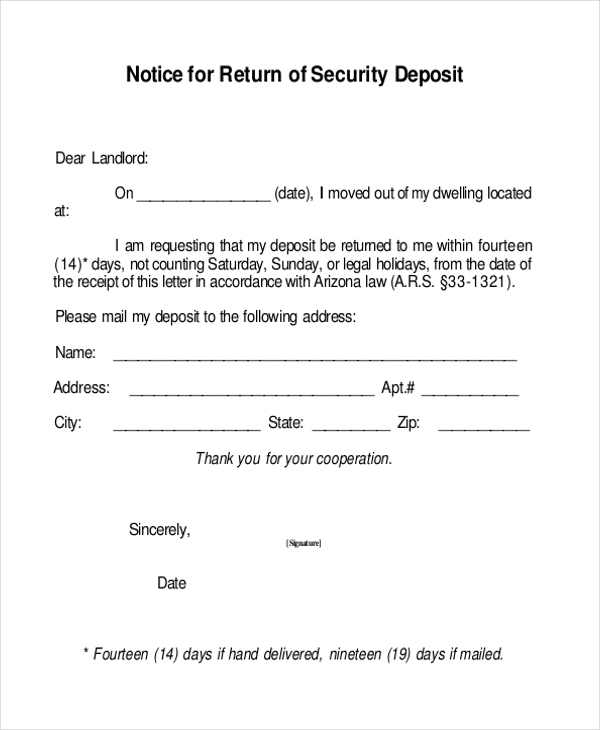 A landlord uses this form to offer a receipt to the tenant to confirm the receipt of the deposit amount. 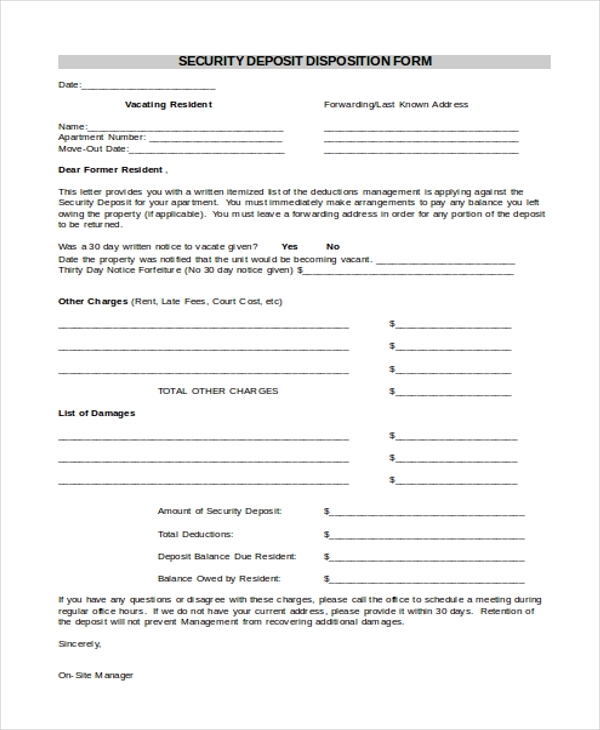 When the tenant or buyer wants to vacate the property or call off the deal, they use this form to request the return of the deposit. Why use a Security Deposit Receipt Form? 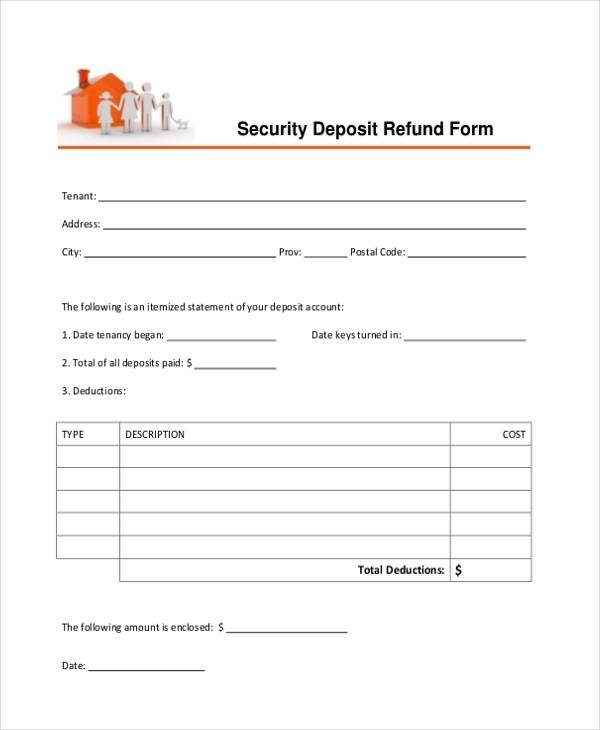 What are the Benefits of Using a Security Deposit Receipt Form? 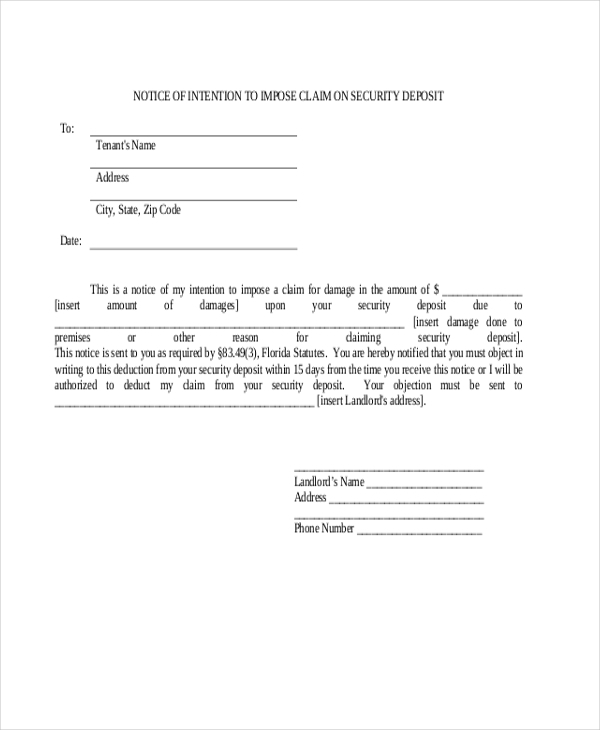 How to Design a Security Deposit Receipt Form? Since the security deposit receipt form contains crucial information, it should start with the date of the transaction. This should be followed by the details of the transaction like why the deposit is being made in the first place. This should also include the amount paid which should then be duly signed by the receiver of the deposit amount. Some landlords may also add certain regulations to their receipts like standard of cleanliness expected by them etc. The security deposit receipt form can help in making a transaction legally credible and at the same time safe for the parties concerned. With a wide range of security deposit receipt forms available online, designing one has definitely become easier. These forms can be downloaded and then easily customized as per the requirement of the parties.